Turmeric has gotten wildly popular (Google Food Trend’s “breakout star” of 2016) because of the purported health benefits. The root vegetable that stains anything has been a mainstay of Indian medicine for millennia. It’s said to have anti-inflammatory and antioxidant properties, and studies show it might maybe possibly help fight certain cancers or treat infections, but some scientists remain skeptical. 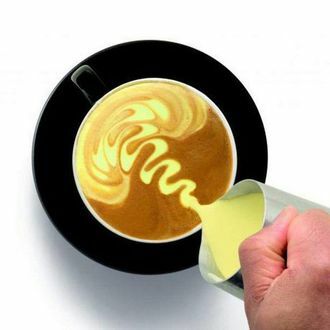 The evidence suggesting the coffee world has hit peak turmeric latte, however, is now widely accepted by everyone.